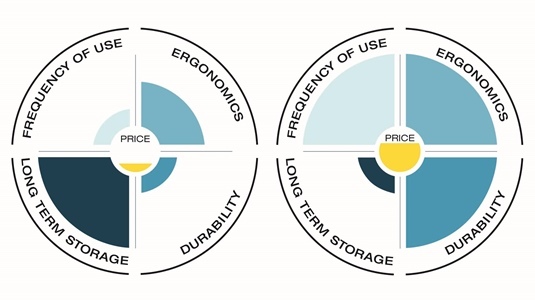 The Usability Chart is a comparison across the TENAK product range and is not compared against competing products. This is our recommendation on how we see the products used. The scale is from low to high. Empty means low, filled means high. 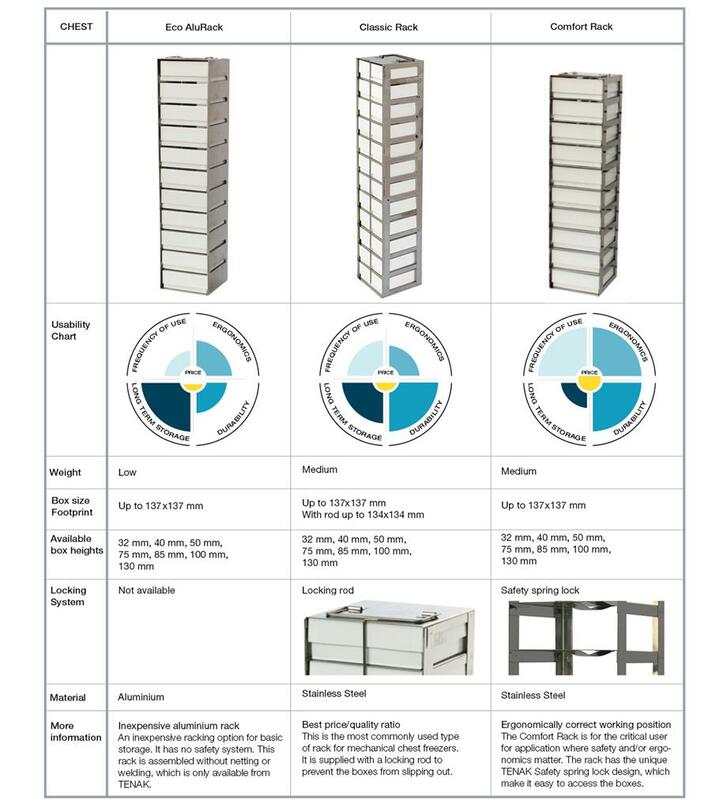 We have in addition to the usability chart, made a simple Product Comparison table, to give you a even faster and more complete overview of our racks and their usages. 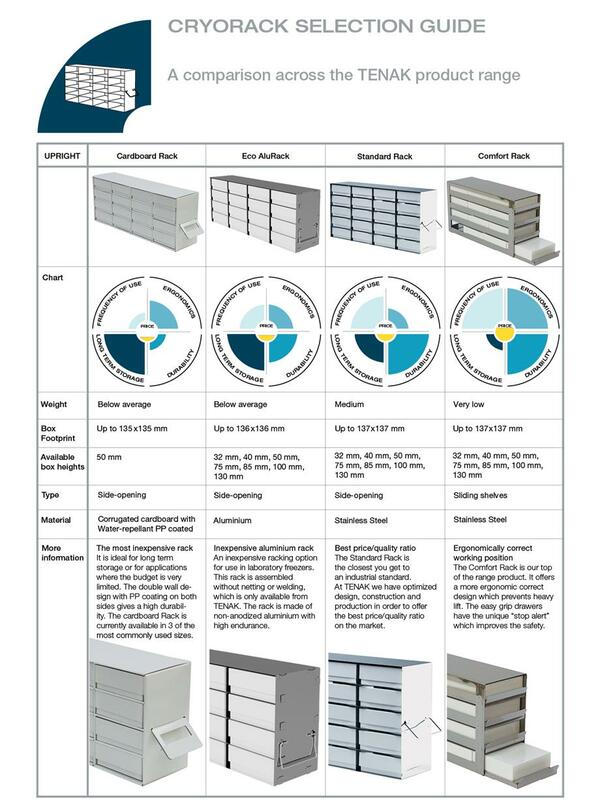 See the NEW Product Comparison table below or download the useful tool as a Pdf file. Download our short Usability explanation and product comparison overview as a pdf file. This indicates how suitable we see the rack is for often/frequent use, and is our recommendation in relation to the use and purpose of the rack. has been integrated into the design. This is our recommendation on how we see the rack used in the best possible way in relation to price and durability. Describes how tough, strong and solid the product is.